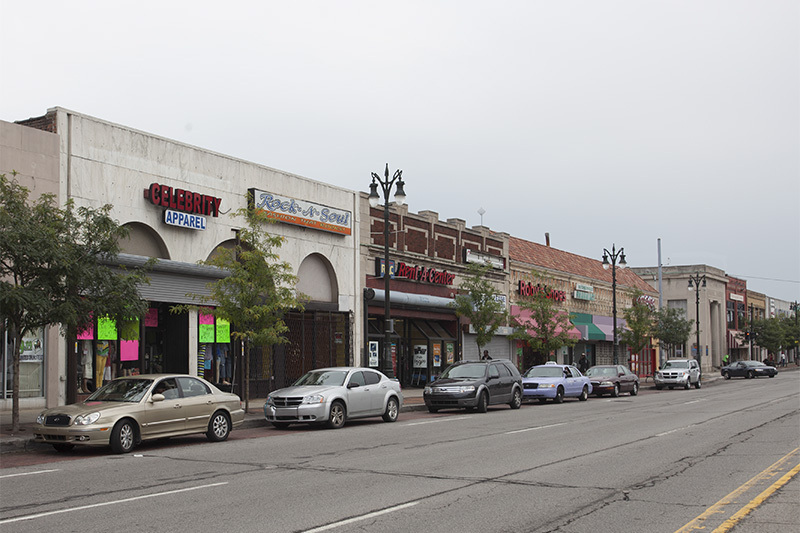 This stretch of Woodward Avenue between midtown and downtown still has a wide array of businesses. 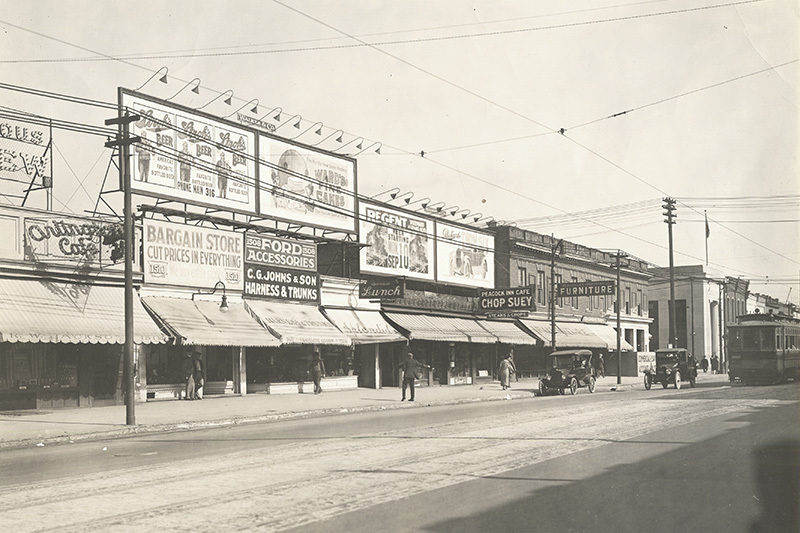 Though the streetcar visible in the older picture is long gone, a new streetcar line is planned for Woodward Avenue. Looks like the only building that hasn't changed is that bank or post office building down on the corner. I remember the streetcars that used to run in down town LA. That whole area used to smell of o-zone and if you're not sure what that smells like, ever drag a piece of leaded tinsel across you toy electric train tracks...that's the smell. Imagine all of down town Los Angeles smelling that way. I for one don't miss them.